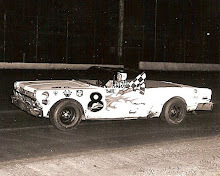 Dayton, Ohio (September 15, 1963) - An overflow crowd of 8,501 fans, the biggest since 1958, watched Sunday as Indianapolis mechanic Keith Ploughe roared into the lead on the 361st lap and then held it for record victory in the 11th edition of the Dayton 500 late model stock car race. Ploughe scorched the distance in 3 hours, 15 minutes and 5.5 seconds to better the all-time mark of 3 hours, 25 minutes and 6 seconds set in 1958 by Nelson Stacy of Cincinnati. 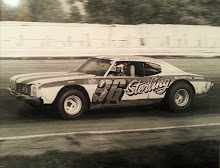 It was the first race the 32-year-old diesel mechanic ever won in a late model stock car, and the effort was worth $2,075 to him. Virgil Barbe of Detroit finished in the runner-up position, almost 13 seconds behind Ploughe. Virgil Stockton of Melvindale, Mich., was third followed by Mike Klapak of Warren, Ohio. Ploughe lead footed his 1963 Ford to the win from the 18th and last row of the starting grid. Only 10 laps of the 370-mile race were run under the caution light in the almost accident-free event. The Dayton 500 was the next-to-last Midwest Association for Race Cars (MARC) go of the season. Two former winners of the grueling race had to withdraw because of mechanical problems. Homer Newland of Detroit, the 1961 winner, had completed 369 laps when the radiator of his car fell against the engine fan. 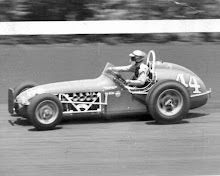 Jack Shanklin, the 1957 winner, went out after 286 laps when his radiator went dry. 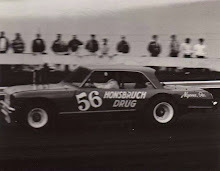 Jack Bowsher of Springfield, Ohio, the current MARC champion, failed to finish when his engine threw a tie rod in the 361st lap while he lead for the third time. 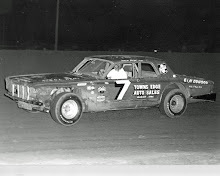 Barbe tooled a 1962 Pontiac and Stockton handled a ‘63 Pontiac Next came Mike Klapak of Warren, Ohio, ‘63 Ford; Andy Hampton of Louisville, Ky., ‘63 Pontiac, who established a one-lap qualifying mark of 20.68 seconds; Bobby Watson of Louisville, ‘63 Ford; Chuck Weinstiger, of Springfield, Ohio, ‘62 Ford; Don Schisler of Detroit, ‘63 Ford; Clyde Parker of Detroit, ‘63 Chevrolet, and Grant Wilmont of Middletown, Ohio, ‘62 Mercury.